Over Memorial Day weekend last month, I rented a Hasselblad 501CM kit from Acme Camera in Sugarhouse, Utah. The camera itself is a medium format SLR and came with an 80mm Planar CFE 2.8 T* lens. The 4lb camera shoots 6×6 images on 120 film and features a leaf shutter with speeds from 1 – 1/500th of a second and bulb mode. The Gliding Mirror System in the body provides you with a full view of your image in the waist level viewfinder, and it’s incredible! It’s bright and clear from edge-to-edge. All of these images were shot on Ultrafine Xtreme 400, a film from Photo Warehouse. I used my Gossen Luna Pro S to meter the light. If I ever decide to buy a Hasselblad, I would want a pentaprism viewfinder with built-in meter. The slap of the mirror when firing the shutter is an incredible sound on this camera. And because this camera is a single-piece, cast aluminum body, it simply feels like a piece of professional gear in your hands. Overall, this camera was enjoyable to use. I’m still undecided on the Ultrafine Xtreme 120 film. It seems a bit grainy compared to other medium format ISO 400 black and white films. Even when trying to darken or lighten the images in Photoshop, I’m not really satisfied. Some of these photos were part of a family day trip to two ghost towns in Utah. The trip was inspired by Jennifer Jones at The Dead History. The first ghost town we visited was Thistle, Utah, where a large landslide in 1983 blocked the Spanish Fork River. This caused water to engulf the town within 2 days. People moved away and the town was deserted. The next ghost town we visited was Spring Canyon, outside of Helper, Utah, where a town was established in 1912. The main purpose was to mine coal, and they were successful from 1924 – 1942. In 1969, the town was abandoned. Many of the homes and buildings have been torn down, with the exception of the main mining building, where coal still sits in a large bin. At Christmas time, we all have family traditions. One of our family traditions is to change our Christmas tree ornaments every other year. For 25 years, we’ve had twelve different Christmas trees. Some have been conventional with colored bulbs, others featured candy canes and gingerbread men. Most of them have been fun for our kids, and they always center around a theme. Some of my favorites have been: Blue’s Clues, Bug’s Life, and PEZ dispensers. For our 2016 & 2017 Christmas tree, I contacted the crew at Old School Photo Lab in Dover, New Hampshire. They shipped me over one-hundred empty 35mm film cartridges and 120 film backing paper from about 70 rolls. The backing paper is used as garland and wraps around the tree. It was also used in the place of ribbon on the gifts. The branches are decorated with 35mm cartridges of various brands and speeds. The tree is topped with a Kodak Starflash Camera from my friend Maurice. Have a Merry Christmas and a Filmtastic New Year! The Yashica Mat-124 G is known as being the last TLR (twin lens reflex) camera manufactured by Yashica from 1970 to 1986. In a time where camera manufactures had abandoned TLR’s, the Mat-124 G was very much out of place, but very successful. The Mat-124 G is nearly identical to the earlier 124 model. The only differences being cosmetic, the 124 G is all black, some electrical changes were made along with the pressure plate slides internally. Featuring a four-element, Yashinon 80mm f/3.5 taking lens, and a 80mm f/2.8 viewing lens, the Mat-124 G has a Copal-SV shutter with speeds from 1 to 1/500 sec, bulb mode, self-timer, MX flash snyc selector and shutter locking device. On the top of the camera is a Cadmium Sulfide (CdS) meter powered by one modern PX-625 battery. The meter is match-needle based on the preselection of the shutter speed. The film advance crank on the right-side of the camera automatically stops, preventing accidental double-exposures and proper spacing on the film between images. The focus knob on the left-side of the camera extends and retracts the front panel containing the taking and viewing lenses. The shutter button is threaded for a standard cable release and the bottom of the camera is threaded with a standard ¼” tripod socket. I bought this camera because I really enjoy shooting 120 film, Kodak Tri-X being my favorite. I’ve also enjoyed using my Yashica A and wanted something with a meter and a better focus screen. 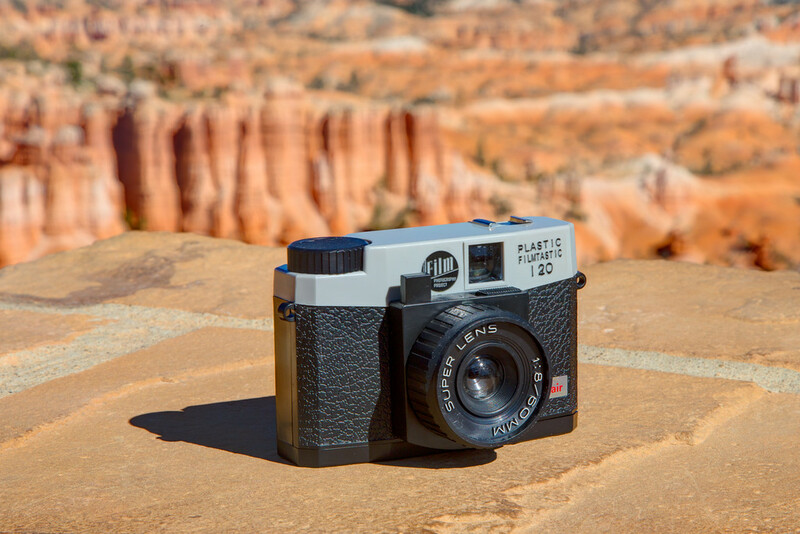 The Mat-124 G meter powers itself on when you open the focusing windows on top of the camera. While Zinc Air batteries don’t last as long as the old mercury ones, at least I don’t need to worry about forgetting to replace the lens cap or flipping a switch to save the battery. The physical location of the shutter speed and aperture dials make this camera easy to use. While the ground glass focus screen is bright and sharp from edge-to-edge, I find myself using the built-in magnifying lens over the top of the focus window frequently to ensure that I’ve nailed the focus. The focus screen is considerably better than my Yashica A, plus there’s still a number of vendors that sell and install replacement glass for better viewing on the 124 G. The taking lens is a bayonet mount for accessories. I’ve found that buying an original metal lens hood, or 30mm filters, can be very expensive. Overall, the camera is built like a tank and produces a wonderful 6×6 medium format images. Below is a selection of photos taken on three different types of film: Lomography Color Slide / X-Pro 200, Fujifilm Reala 100, and Kodak Vericolor HC (Expired 3/91). The Yashica-A is a basic TLR (Twin Lens Reflex) medium format 120 film camera that was manufactured by Yashica from 1959 to 1969 in Nagano, Japan. When introduced in the United States, it was advertised as an entry-level TLR for $29 (US). The Yashica A, C and LM cameras led the way for the popular Yashica Mat line of TLR cameras. During production of the Yashica-A, twin 80mm Yashimar lenses were used, but later changed to a Yashikor 80mm. All of Yashica’s lenses were manufactured by the Tomioka Optical Works in Japan. My Yashica-A has the 80mm Yashikor lenses, f/3.5 – f/22. The shutter speeds are bulb, 1/25 – 1/300. The color of the camera body also changed during the production: all black, black/gray, and a rare cream/brown. The Yashica-A has a leaf shutter and PC connection for flash sync. The shutter control, shutter lever and aperture control are all located around the lower photographic lens. This is the first quality TLR camera I’ve used or owned. While the top-down viewfinder is big and clear, I’ve learned that using it can be very frustrating. The viewfinder does have a grid, and it has an additional magnifying glass to ensure accurate focus. However, I found that it really slowed me down when trying to compose an image. I did not take the time to use the camera with the Sportsfinder Window. This allows you to hold the camera up at eye level to compose the shot. Setting the shutter speed and aperture is extremely easy and straightforward. The first roll of film I used was Kodak Porta 400. Color was good, images are sharp and what I expected. The second roll I used was Lomography Lady Grey 400. The Lomo film has medium grain and overall I’m happy with the look and feel of the images. I have one complaint about Lomogoraphy’s 120 film. I understand that 120 film is a paper-backed film. The paper-side against the film is black for obvious reasons. However, the paper on the outside opposite of the film is also black with faint gray lettering. When winding the film, this makes looking for the image number in the red film counter window almost impossible. With the two rolls of Lomo Lady Grey film I used in the Yashica-A, I’ve missed the first frame because I couldn’t see the number in the film counter until it was 2 (late). I realize I could have used a film changing bag or a dark room to roll the film back, but I was at the beach and it wasn’t an option. As I continue to use medium format cameras, I may need to rethink the brand of film I’m using. Now it’s your turn to shoot some sprockets! 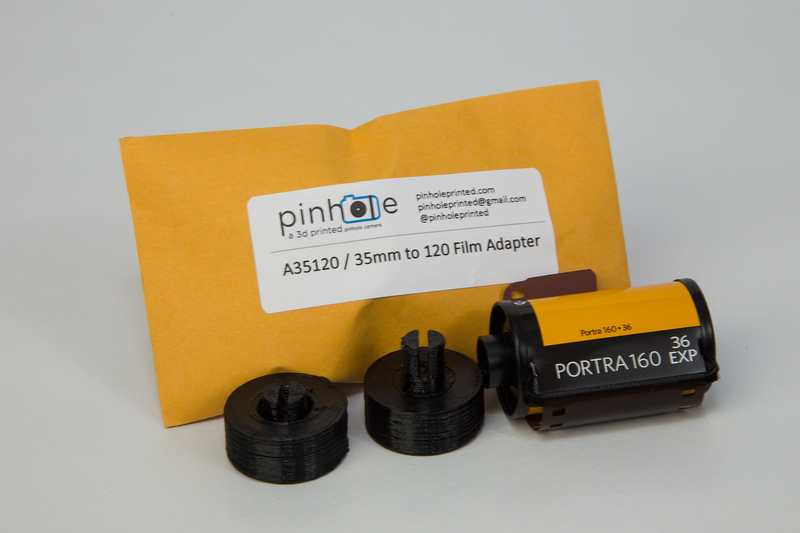 Utah Film Photography is giving away a set of 35mm to 120 Film Adapters from Pinhole Printed. 1. What camera will you be using the 35mm to 120 film adapters in? 2. What 35mm film will you be using to shoot sprockets? We will pick a random winner on Monday, December 1, 2014. The winner will be notified by email. I was thinking about buying a Holga or Diana, but along came the Film Photography Project’s Plastic Filmtastic. It’s a hybrid of both, priced at $19.99 with a free roll of Kodak 400TX film from the Film Photography Project Store. The FPP Plastic Filmtastic 120 Debonair has a lot in common with other toy cameras, but the Debonair (classy name, huh?) has a great deal in common with the promotional freebies you would receive in the 1980’s for subscribing to Time or Sports Illustrated magazines. With 120 film in the FPP Plastic Filmtastic, you’ll get sixteen 6 x 4.5 images. The camera has an f/8, 60mm plastic molded lens with focusing options for a single person, group, or mountains (close-up, medium, and infinity focusing). Or as Michael Raso from the Film Photography Podcast likes to say, “One bloke. Three blokes. Mountains.” The camera also has a sunny and cloudy day switch for exposure control. The fixed shutter is approximately 1/100th of a second on sunny and 1/50th of a second on cloudy. No batteries are needed, and it has a hot shoe for a flash. 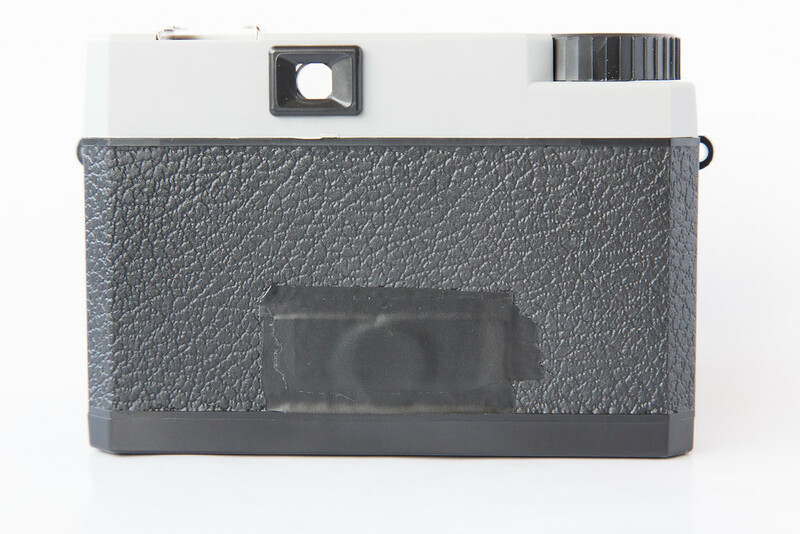 Using the Debonair was my first experience with a plastic 120 film camera. If you look closely at the photos of the camera, you can see a few blobs where grease was applied around the Super Lens during the assembly of the camera. I’m sure the lubricant was applied to keep the plastic from wearing away while focusing the lens. I didn’t notice it until I looked at these photos. These are my initial shots with the free roll of Kodak 400TX Black & White Film that came with the camera. After reading another review of the Debonair on Lomography.com, the author indicates they noticed lines across the negatives. I noticed the same after receiving my negatives and scans back from The Dark Room. However, when I shot some sprockets on 35mm film in the camera the next day, there are no lines. Many of my photos were taken while hiking with family last month in Zion National Park, Utah. The Debonair is a fun camera. Because it’s plastic, the weight is unnoticeable, so it went in my backpack with four other cameras. I didn’t pack any water or snacks for the kids, but managed to pack 5 cameras. My wife, making a joke, was quick to point out how messed up my priorities are. One item I was looking forward to with the Debonair was the possibility of some artsy light leaks and it delivered them nicely. With the lens pointed in the direction of sunlight, it produced the effect that Holga and Diana cameras are known for. In the two images of the abandoned truck, you can see how random the light came in. It worked as I hoped, but I think it looks better on color film. I also think that’s part of the fun and experience with a plastic toy camera like the Debonair. There’s a lot of possibilities for creativity that can come through experimentation. Kodak T-Max 100 Black & White 120 Film for outdoors and bright light. Kodak T-Max 400 Black & White 120 Film for indoors and low light. Kodak Ektar 100 Color 120 Film for outdoors and bright light. Kodak Porta 400 Color 120 Film for indoors and low light. In Part 2 of the FPP Plastic Filmtastic 120 Debonair review, I’ll share my experience shooting sprockets. And I’ll be giving away a sweet little accessory to help you shoot sprockets in your 120 or 620 film camera!